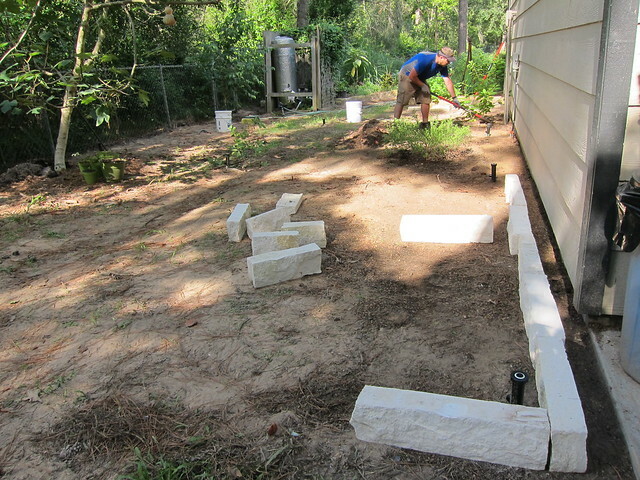 We’re inching closer to finishing the flower garden! 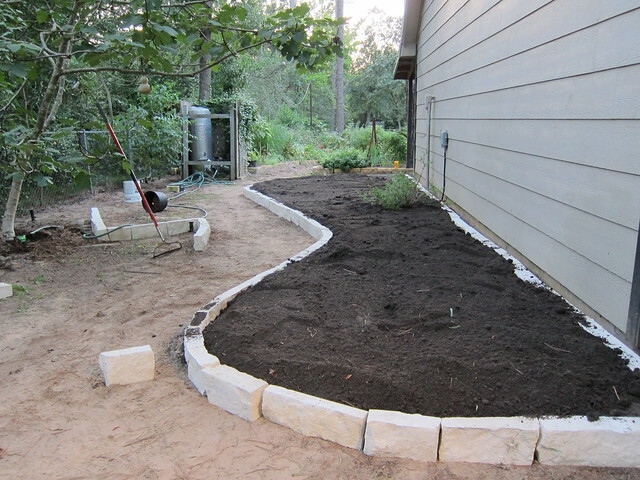 I’m so thrilled about this and can’t wait until everything is in place and all I have to do is walk around with coffee and pick a weed here and there. 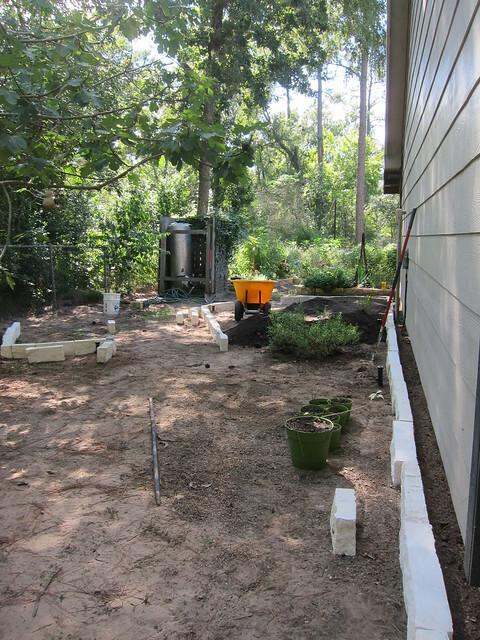 What follows is going to show the evolution of the garden, how it has changed since we bought the house in late June 2012. This was taken when we first visited the house with the Realtor. 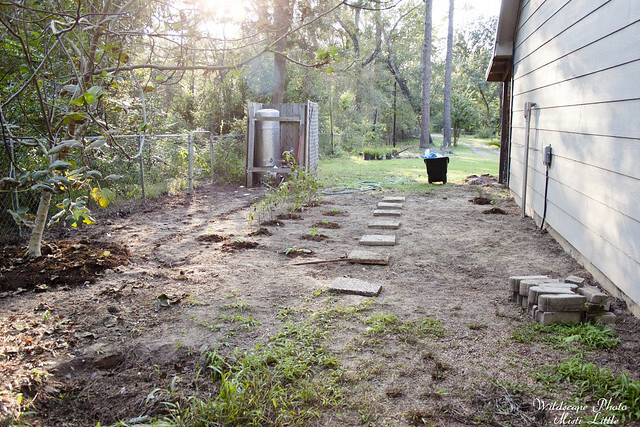 The previous owners had a small vegetable garden here and there was also a fence up across the area near the fig tree. 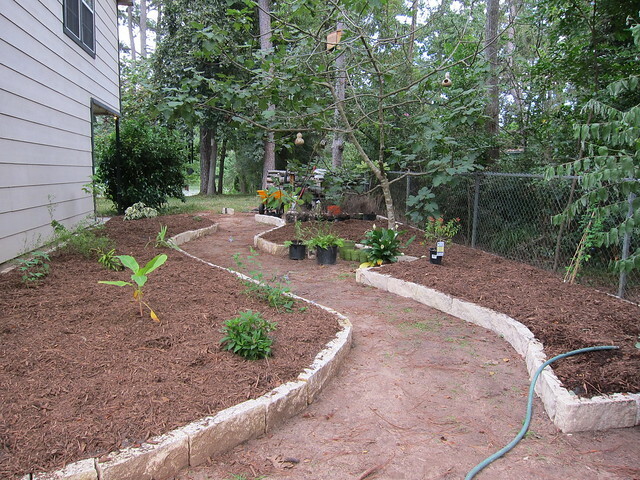 A fire pit and the potting bench were also on the side yard. 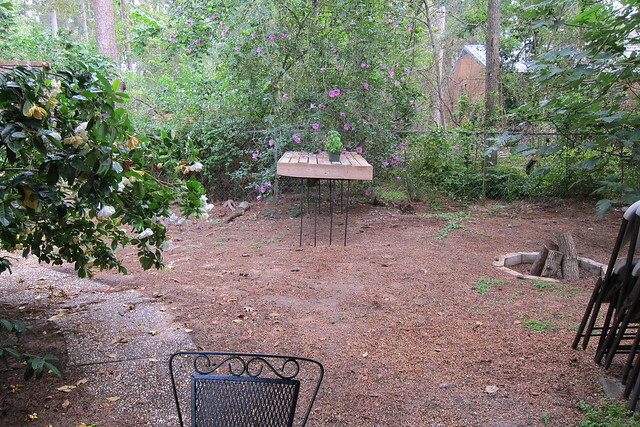 We removed the fire pit and kept the potting bench and are still using it. 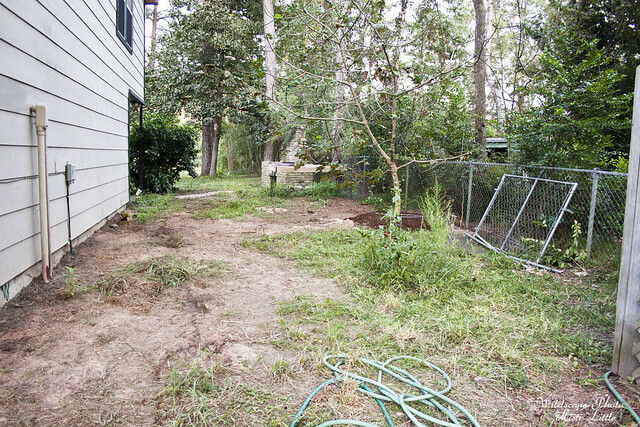 And then we cleaned the area up, removed the fence and started planting things even though we didn’t really know what we were going to be doing with the area. 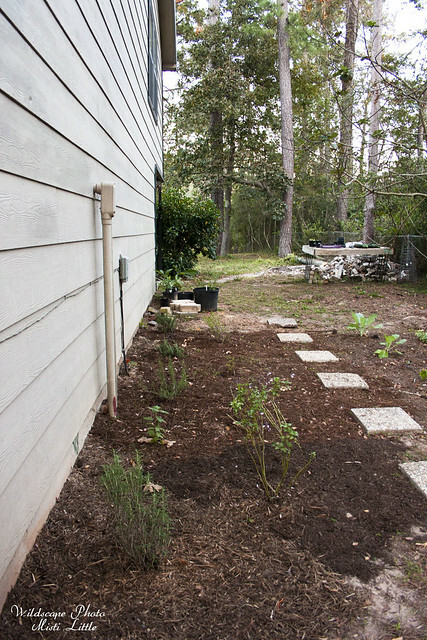 Then we went with putting rosemary up along the side of the house and I planted vegetables. 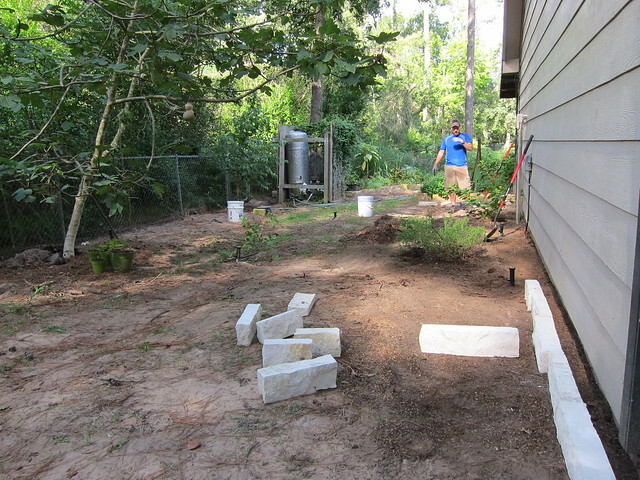 And last month we went through and cleaned out the weeds that were popping up, Chris installed the watering system and finally last week we were able to get a lot done on the garden. 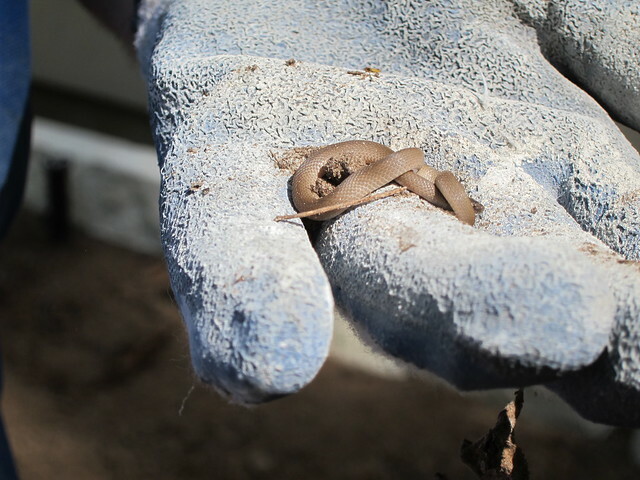 I was cleaning up the last bits of leaf litter to put in the compost pile when I saw something move. 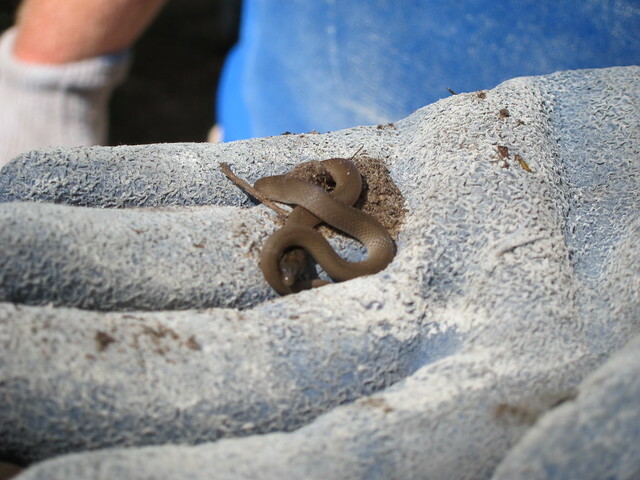 I thought it was going to be a skink but it ended up being a small snake. I called Chris over and he thought it might be a worm snake. 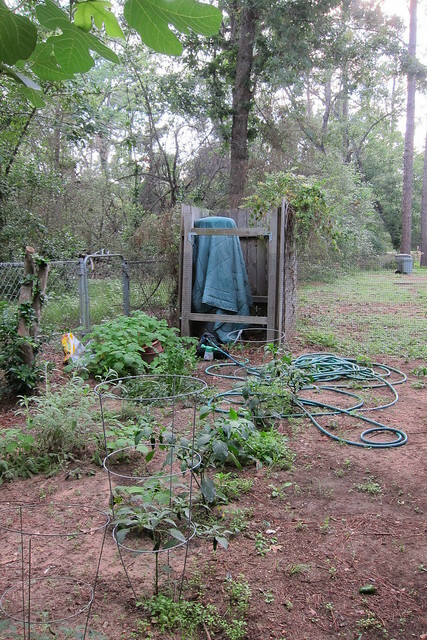 We moved it to the Phase I flower beds so it wouldn’t be disturbed when we moved dirt and walked around in the area. Almost done! 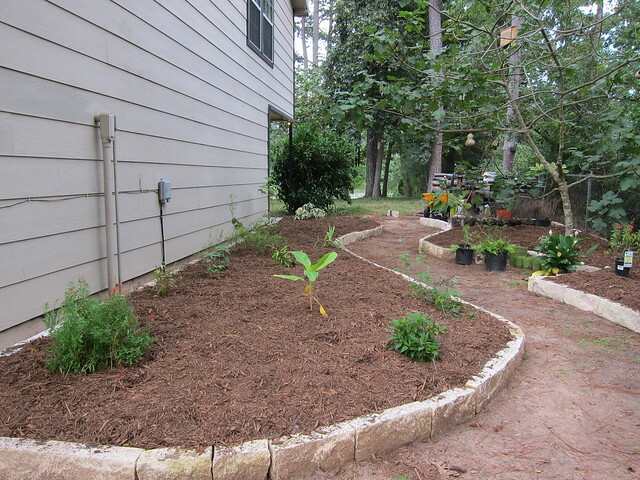 We have a small section by the potting bench to do that we’ll finish when Chris gets back from a field job. 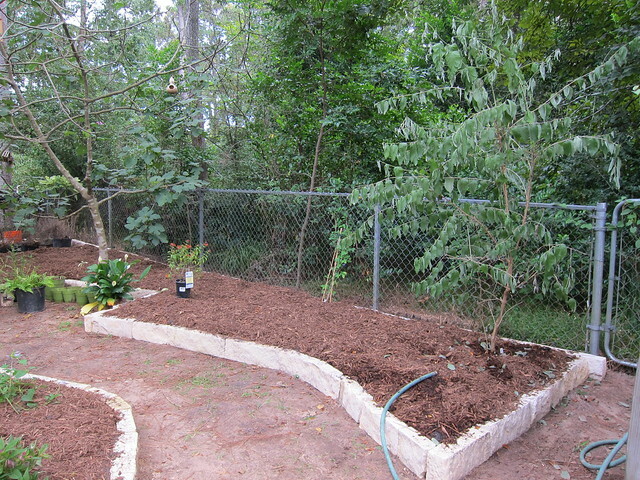 Then we’ll just have to lay the rock in the walkway, getting a bench for near the fig tree and the garden will be DONE! I can’t wait! I took a 6 minute video too, ignore a few areas where I somehow just start talking as if I’m talking to myself. So exciting to see all y’all have done!! Really appreciate the video. 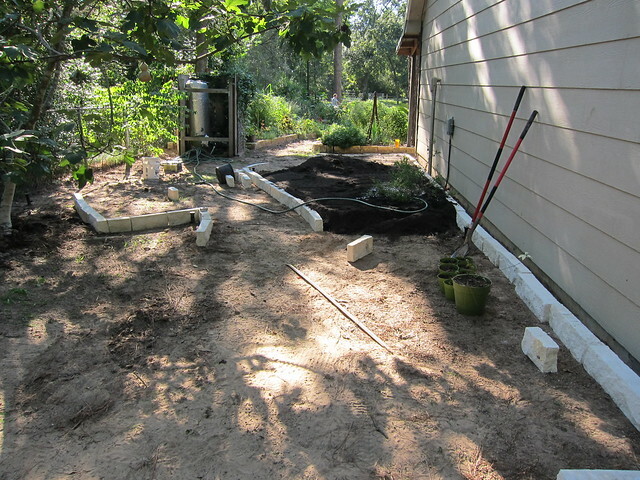 Looking good…. 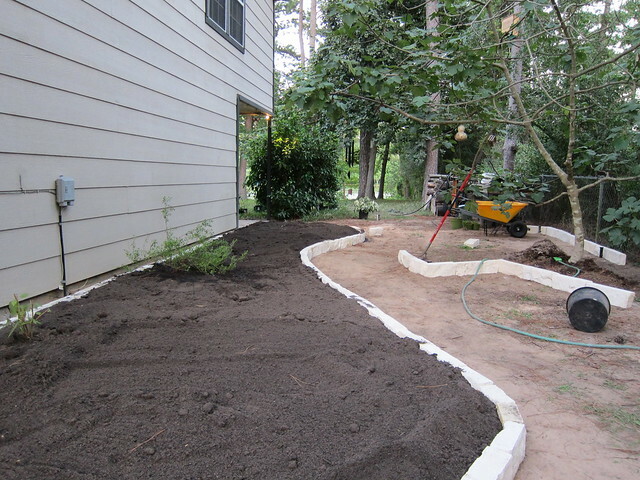 I’ve seen the “almost-finished” product of this in person and it is fun to see the “before” pictures. It shows the amazing progress you have made!!!! !